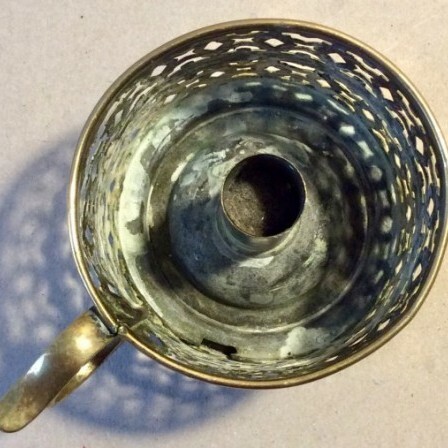 Antique Victorian Brass students candle lamp base. —Vintage treasure for the home and collector. 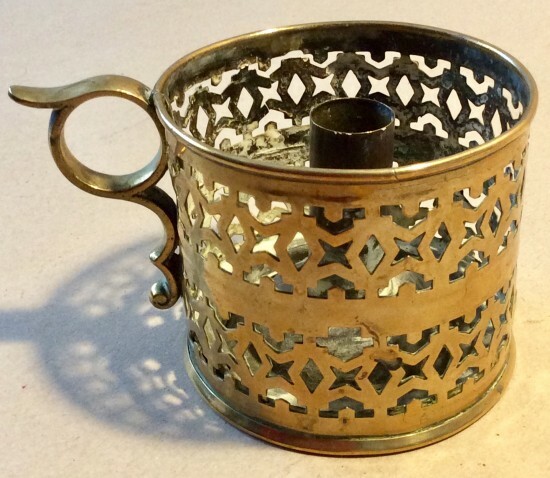 Antique brass students candle lamp base to take a clear glass tube shade. Description: This students candle lamp would have had a clear glass tube shade to prevent flickering of the candle in a draught. 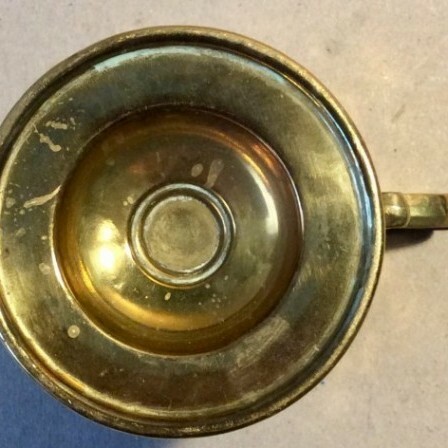 This pierced sheet brass example is late 19th century and has no glass shade. The is also some damage to the pierced fretwork near the top close to the handle.